The NWUK SkiFit programme is definitely no ordinary ‘get fit for the slopes course’ as seen advertised in many gyms prior to the ski season. It’s an outdoor, rigorous, progressive course based on sound coaching principles put together by ski fitness expert and NWUK tutor, Nicky Parsons. The workshop enables you to provide a six-week programme designed to get clients ready for the slopes. Running these six-week courses is a great way to attract new customers and enables you to run winter classes for both those that can Nordic walk and complete novices. 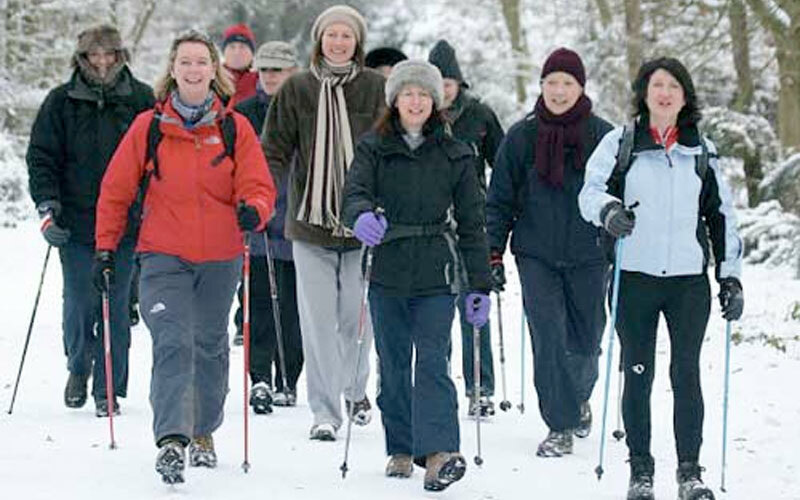 Instructors who run these each winter have been delighted that many newcomers come along purely to get fit for their annual trip to the slopes, yet are completely sold on the benefits of Nordic walking and become regular clients. The NWUK SkiFit drills make this programme ideal for snowboarders, cross-country skiers and downhillers alike and is guaranteed to impact both their performance and enjoyment once out on the snow. The unique programme comes with branded promotional materials and lesson cards. The NWUK SkiFit workshop consists of practical sessions. All candidates are given verbal feedback. There is no formal assessment.